UFC 129 MMA Fight Video of Jason MacDonald vs. Ryan Jensen on the Prelims/undercard. The bout took place on 4/30/2011 in Toronto, Ontario, Canada. MMA Fight Video of Jason MacDonald vs. Ryan Jensen in a Facebook Prelim Middleweight Bout @ UFC 129: GSP vs Shields in Rogers Centre, Toronto, Ontario, Canada on Sat. April 30th, 2011. EliteXC: Uprising - MMA fight video of "Jake Shields vs. Renato Verissimo". The bout took place on 9/15/2007 in Honolulu, Hawaii, USA. Mauro Ranallo and Ariel Helwani breakdown this Saturday night’s UFC 129 event in Toronto, Ontario at the Rogers Centre. DAY 1 of Dana Whites vlog for UFC 129, with fight predictions from the Iceman Chuck Liddell, around the office, and the first Strikeforce zuffa event. Rio MMA Challenge 1 - MMA fight video of Jose Aldo (3-0) vs. Aritano Silva Barbosa (2-4). The bout took place on 5/12/2005 in Rio de Janeiro, Brazil. Jungle Fight 5 MMA fight videos of Jose Aldo vs. Luciano Azevedo. This bout took place on 11/26/2005 in Manaus, Amazonas, Brazil. Executive Iceman – Mr. Chuck Liddell Brings You UFC 129 St-Pierre vs Shields. Chuck Liddell brings you UFC 129: St-Pierre vs Shields - Live on Pay-Per-View and www.UFC.tv this Saturday, April 30th/2011 at 6/9PM PT/ET. Daniel “Ninja” Roberts Talks About Claude Patrick And His Big Noggin, wanting to fight GSP and avoiding the headbutt at UFC 129. Their fight will be viewable on UFC Facebook free this Saturday night April 30th/2011. Daniel Roberts talks about the Upcoming event, his fight and predictions for Shields-GSP. UFC Light Heavyweight MMA Veteran Vladimir 'The Janitor' Matyushenko Gives His Janitor Tips - Part 1. Vladimir Matyushenko takes on Jason Brilz at UFC 129: St-Pierre vs. Shields. UCC 10: Battle for the Belts 2002 - MMA fight video of GSP Georges St. Pierre vs. Justin Bruckmann. M-1 Challenge 25 (XXV) MMA fight video of "Andrei Semenov vs. Luigi Fioravanti" for the M-1 Challenge welterweight title in the Main Event on the Main Card. The bout took place on Thursday, April 28th/2011 at the Ice Palace in St. Petersburg, Russia set up by Promotion M-1 Global. M-1 Challenge XXV MMA fight video of "Vinny Magalhaes vs. Victor Nemkov" for the vacant M-1 light heavyweight title in the Co-Main Event on the Main Card. The bout took place Thursday, April 28th, 2011 at the Ice Palace in St. Petersburg, Russia set up by Promotion M-1 Global. M-1 Challenge 25 (XXV) MMA fight video of "Shamil Zavurov vs. Yasubey Enomoto" for the M-1 Challenge welterweight title. The bout took place on Thursday, April 28th/2011 at the Ice Palace in St. Petersburg, Russia set up by Promotion M-1 Global. UFC 129 Special: "Super 7" Presentation - a 'Q&A' Session featuring all 7 Current UFC Champions from every weight class/division preceded the UFC 129 Weigh-ins. A Never-Before-Done Gathering draws the biggest audience for a Q&A session and weigh in ever! Aired on Friday, April 29th, 2011 @ 3 PM EST from the Ricoh Coliseum in Toronto, Ontario, Canada. UFC 129: St. Pierre vs. Shields Weigh Ins from the Ricoh Coliseum in Toronto, Ontario, Canada - Aired on Friday, April 29th, 2011 @ 4 PM EST/3 PM CST/1 PM PST. * - Ben has two hours to make 156lbs. UFC Welterweight Champion Georges St-Pierre hits the ESPN Sport Science lab, where his punches, kicks, and cardio is put to the test in advance of Saturday's UFC 129 Event. Georges St-Pierre GSP visits the famous ESPN Sport Science lab, where his endurance/cardio/conditioning & other skilss is put to the test in advance of UFC 129: St Pierre vs Shields in Toronto, Canada. April 28th, 2011 - ESPN's MMA Live with host Jon Anik gets you hyped for UFC 129, the promotion's 1st trip to MMA-crazed Toronto, Ontario, Canada. What will it be like to have the Octagon surrounded by 55,000 people and what kind of threat is Jake Shields to GSP Georges St-Pierre's welterweight title reign. Episode 3 - UFC Primetime special featuring UFC WW Welterweight Champion GSP Georges St. Pierre and his challenger Jake Shields on Spike TV. Here is the last of 3 episodes of UFC 129 Primetime. The Pre-Fight Press Conference of UFC 129: GSP St. Pierre vs Shields - at 1:00 PM ET/12:00 PM CT/9:00 AM PT from the Direct Energy Centre in Toronto, Ontario, Canada on Wednesday, April 27th, 2011. April 25th, 2011: "MMA Connected" has now officially become "UFC Connected" - SportsNet's Showdown Joe takes a look at the main event of UFC 129 in Toronto, Ontario on the debut episode of UFC Connected. 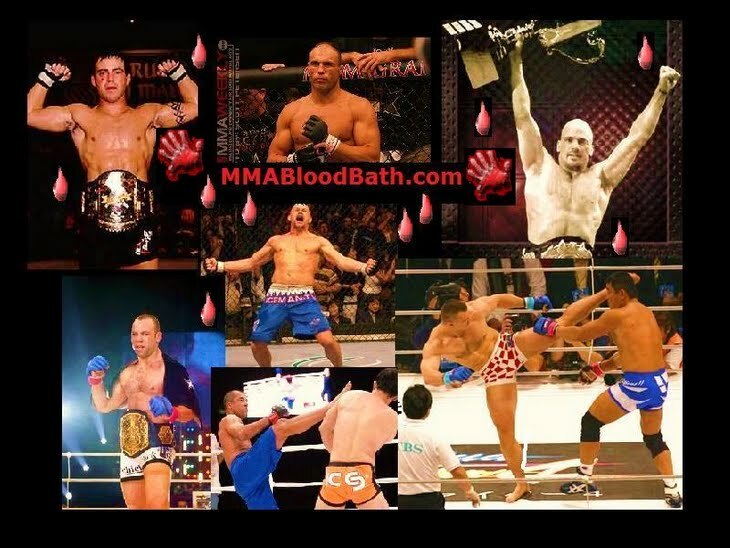 Joe also interviews Matt "The Terra" Serra and discusses his upset of GSP Georges St-Pierre. Lastly, Joe takes a look at the strict training of Georges St-Pierre. UFC 129 Countdown Show (Full Episode) - UFC 129 takes place Saturday at Toronto's Rogers Centre, and the pay-per-view main card features welterweight champion Georges St-Pierre vs. top contender Jake Shields. In addition to the headliner, the "Countdown" shows focuses on UFC 129 co-headliner between UFC featherweight champion Jose Aldo and Canadian Mark Hominick. A light-heavyweight bout between former champs Randy Couture and Lyoto Machida also gets some attention. The Countdown to UFC 129: “St. Pierre vs. Shields” will debut Wednesday, April 27, 2011 at 11 p.m. ET on Spike TV. The event will be held at the Rogers Centre in Toronto, Canada, on Saturday, April 30, 2011. It's just two weeks until fight night, which means that the big day is rapidly approaching, and training camps have been full steam ahead for quite some time preparing for the World Boxing Welterweight Championship Matchup between Manny "Pacman" Pacquiao vs. 'Suger' Shane Mosley that is taking place on May 7th, 2011. After the hype comes the hard work of training ...and no one hits the gym with the intensity of Manny Pacquiao and Shane Mosley. Watch the full second episode to see Pacquiao and Mosley training for their May 7th/2011 showdown. "Pacquiao vs Mosley" – the countdown to May 7th begins, Showtime brings you its four-part documentary, going inside the lives of "Pacman" Manny Pacquiao and “Sugar” Shane Mosley as they prepare for their World Welterweight Championship Matchup on May 7th/2011. MMA Fight Video of "Richard Hale vs. DJ Linderman" in a Main Event LHW Tourney Semifinal Bout @ Bellator Fighting Championships 42 (XLII) (BFC 42) in Concho, Oklahoma, United States on Sat. April 23, 2011. MMA Fight Video of Tim Carpenter vs. Christian M'Pumbu in a LHW Tourney Semifinal Bout @ (BFC 42) Bellator Fighting Championships 42 (XLII) in Concho, Oklahoma, USA on Sat. April 23rd, 2011. MMA Fight Video of Ronnie Mann vs. Josh Arocho in a Main Card Featherweight Bout @ (BFC 42) Bellator Fighting Championships 42 (XLII) in Concho, Oklahoma, USA on Sat. April 23, 2011. MMA Fight Video of "Chris Bell vs. Jared Hess" in a Prelim Catchweight (190 lbs) Bout @ Bellator Fighting Championships 42 (XLII) (BFC 42) in Concho, Oklahoma, USA on Sat. April 23rd, 2011. Episode of HDNet's "Inside MMA" Show with Bas Rutten & Kenny Rice that took place on Friday, April 22nd, 2011. Episode 2 of 3 - UFC Primetime special featuring WW Welterweight Champion GS Georges St. Pierre and #1 challenger Jake Shields - on Spike TV. Here is the 2nd of 3 episodes (3-part series). TUF 13 Episode 4 - Team JDS DOs Santos Assistant Coach Lew Polley accuses Brock Lesnar of "not caring" and thinks his guys are outworking the opposing team. Team Lesnar shows up and Bentley is bummed about giving up control of the fight pick. Brock says his team lost the battle but can still win the war and he's left it up to "The Four Horsemen." Unfortunately a lot of his guys are "lallygagging" in the cage during practice and Lesnar informs them if they chicken out, that's on them, in TUF 13 Episode 4 Titled "A Bad Dream" - UFC TUF on Spike TV. Boxing Fight Video of "Andre 'The Beast' Berto vs 'Vicious' Victor Ortiz" for the 147-pound WBC Welterweight World Championship Title. Bout took place on Sat. April 16th, 2011 in the Foxwoods Resort Casino, Mashantucket, Connecticut, USA. The fight aired live on HBO's Boxing After Dark. FIGHT DETAILS: Andre Berto defends his WBC Welterweight title against Victor Ortiz. UCMMA 19: Lights Out - "Huseyin Garabet vs. Kalid Raja 2" FIGHT VIDEO --- K-1 Rules and 6oz gloves bout between Huseyin Garabet and Kalid Raja for the UK1 Featherweight Championship Title Belt on March 26th/2011 in London, England. UCMMA - Ultimate Challenge MMA -- UK-1 is Kickboxing K-1 rules with MMA gloves with a standing 8 count, check it out! The boxing match took place on Friday, April 15th, 2011. The bout was part of the World Series of Boxing, an ongoing team-based boxing competition which includes a number of international teams. Kharitonov represents the Baku Fires, an Azerbaijani team. April 18th, 2011 - SportsNet's Showdown Joe breaks down the main card for UFC 129 set to invade Rogers Centre (Skydome) in Toronto and takes a closer look at what’s in store for Canada’s finest. He also discusses whether or not we’ll see Nick Diaz in MMA again. Plus the brewing rivalry between Jon “Bones” Jones and Rashad “Suga” Evans. Lastly, Joe takes a look at the strict training regiment of UFC Welterweight Champion GSP Georges St Pierre. Boxing Light-Welterweight Championship bout: Amir Khan vs. Paul McCloskey -- Champion King Khan returned back to Manchester, UK to continue his title defense against EBU Super Lightweight Champion Paul McCloskey at the Manchester Evening News Arena, UK on Sat. April 16th, 2011. Boxing Fight Video of England's Amir 'KING' Khan vs Ireland's Paul 'Dudey' McCloskey for the WBA Light Welterweight Championship World Title on Sat. April 16th/2011 in the (Manchester Evening News) M.E.N. Arena, Manchester, Lancashire, United Kingdom (UK). A 140-pound world title fight, that aired live on HBO's Boxing After Dark. FIGHT DETAILS: Amir Khan defends his WBA Light Welterweight title against Paul McCloskey. MMA Fight Video of FW Featherweight Champion Joe Warren vs. Marcos Galvao in a Catchweight (137 lbs) Bout @ Bellator Fighting Championships 41 (XLI) in Yuma, Arizona, USA on Sat. April 16th, 2011 on MTV2. MMA Fight Video of Patricio Freire vs. Wilson Reis in a Featherweight Tourney Semifinal Bout @ Bellator Fighting Championships 41 (XLI) in Yuma, Arizona, USA on Sat. April 16th, 2011. MMA Fight Video of Daniel Straus vs. Kenny Foster in a Featherweight Tourney Semifinal Bout @ Bellator Fighting Championships 41 (XLI) in Yuma, Arizona, USA on Sat. April 16th, 2011 on MTV2. MMA Fight Video of Zach Makovsky vs. Chad Robichaux in a Bantamweight Main Card Bout @ Bellator Fighting Championships 41 (XLI) in Yuma, Arizona, USA on Sat. April 16th, 2011. Coach of season 13 of The Ultimate Fighter , Brock Lesnar sits down with Mike Straka. The former UFC Heavyweight champion discusses his time on the hit reality TV show. Lesnar also talks about his transition from the world of professional wrestling into mixed martial arts. Brock Lesnar Sits Down With Mike Straka Of Fighting Words. Episode Video of HDNet's Inside MMA that took place on Friday, April 15th, 2011. April 15th, 2011 - ESPN's MMA Live (Jon Anik) welcomes in Strikeforce lightweight champion Gilbert Melendez following his destruction of Japans' Tatsuya Kawajiri. Also joining the show is Strikeforce light heavyweight champion Dan 'Hendo' Henderson to discuss his likely mega-fight with Fedor Emelianenko. Kickboxing Fight Video of Roman Mailov vs Ramil Novruzov @ W5 Grand Prix (Super Fight - 63kg) on 2011-04-09 (Sat. April 9th/2011) in Moscow, Russia. Kickboxing Fight Video of Alexander Stetsurenko vs Vasiliy Tereshonok @ the W5 Grand Prix 2011 (Super Fight) on 2011-04-09 (Sat. April 9th/2011) in Moscow, Russia. Kickboxing Fight Video of Dzhabar Askerov vs William Diender @ W5 Grand Prix KO tournament on 2011-04-09 (Sat. April 9th/2011) in Moscow, Russia. Kickboxing Fight Video of Enriko Gogokhia vs Mike Zambidis @ the W5 Grand Prix KO tournament on Sat. April 9th, 2011 in Moscow, Russia. Mike Zambidis vs. Enriko Gogokhia in the preliminary round of the W5 Grand Prix four-man, 71 kg. tournament held on Saturday, April 9th/2011 in Russia. The UFC 129 Primetime special featuring Welterweight Champion (GSP) Georges St. Pierre and his challenger Jake Shields on Spike TV. Here is the 1st of 3 episodes. "UFC Primetime" returns to Spike TV for "UFC 129: St-Pierre vs Shields" - and the UFC 129 MMA event takes place on Sat. April 30th/2011 at the Rogers Centre (Skydome) in Toronto, Ontario, Canada. April 11th, 2011 - Sportsnet's Showdown Joe recaps a stellar Strikeforce: Diaz vs. Daley event, goes Inside the Octagon to discuss news around MMA, & talks about the record breaking UFC 129: St-Pierre vs. Shields event coming up in Toronto, Ontario, Canada on Sat. April 30th/2011 on PPV. MMA Fight Video of Seth Baczynski vs. Alex Garcia in a Main Card Bout @ Ringside MMA 10 in Montreal, Quebec, Canada on Sat. April 9th, 2011. Video of the Post-Fight Press Conference that took place right after Strikeforce 33: Diaz vs Daley from the Valley View Casino Center in San Diego, California, USA on Sat. April 9th, 2011. MMA Fight Video of WW Champ "Nick Diaz vs. Paul Daley" in the Main Event @ Strikeforce 33 in San Diego, California, USA on Sat. April 9th, 2011. For the Strikeforce Welterweight Championship Title. MMA Fight Video of "Gegard Mousasi vs. Keith Jardine" in a Main Card Bout @ Strikeforce 33: Diaz vs Daley in San Diego, California, USA on Sat. April 9th, 2011. MMA Fight Video of LW Champ Gilbert "El Nino" Melendez vs. Tatsuya Kawajiri II in the Co-Main Event @ Strikeforce 33: Diaz vs Daley in San Diego, California, USA on Sat. April 9th, 2011. For the Strikeforce Lightweight Championship Title. MMA Fight Video of "Shinya Aoki vs. Lyle Beerbohm" in a Main Card Bout @ Strikeforce 33: Diaz vs Daley in San Diego, California, USA on Sat. April 9th, 2011. MMA Fight Video of Ben Askren vs. Nick Thompson in the Main Event Bout for the Bellator Fighting Championships (BFC 40) at First Council Casino in Newkirk, Oklahoma, USA on Sat. April 9th, 2011. Bellator FC 40 was live in prime time on MTV2. Champion Ben Askren Meets Nick “The Goat” Thompson in Non-Title Welterweight Superfight at Bellator 40. MMA Fight Video of Ben Askren vs. Nick Thompson in a Welterweight Bout in the Main Event @ Bellator Fighting Championships 40 (XL) in Newkirk, Oklahoma, USA on Sat. April 9th, 2011. MMA Fight Video of Jay Hieron vs. Brent Weedman for the Bellator Fighting Championships (BFC 40) at First Council Casino in Newkirk, Oklahoma, USA on Sat. April 9th, 2011. Bellator FC 40 was live in prime time on MTV2. MMA Fight Video of Lloyd Woodard vs Michael Chandler for the Bellator Fighting Championships (BFC 40) at First Council Casino in Newkirk, Oklahoma, USA on Sat. April 9th, 2011. Bellator FC 40 was live in prime time on MTV2. MMA Fight Video of Casey Ryan vs. Paul Song in the Preliminary card @ Strikeforce 33: Diaz vs Daley in San Diego, California, USA on Sat. April 9th, 2011. MMA Fight Video of Rolando Perez vs Edgar Cardenas in the Preliminary card @ Strikeforce 33: Diaz vs Daley in San Diego, California, USA on Sat. April 9th, 2011. MMA Fight Video of Joe Duarte vs Saad Awad in the Preliminary card @ Strikeforce 33: Diaz vs Daley in San Diego, California, USA on Sat. April 9th, 2011. MMA Fight Video of Brett Albee vs Virgil Zwicker in the Preliminary card @ Strikeforce 33: Diaz vs Daley in San Diego, California, USA on Sat. April 9th, 2011. MMA Fight Video of Hiroyuki Takaya vs Robert (Robbie) Peralta in the Preliminary card @ Strikeforce 33: Diaz vs Daley in San Diego, California, USA on Sat. April 9th, 2011. MMA Fight Video of Dylan Smith vs David Rickles for the Bellator Fighting Championships (BFC 40) at First Council Casino in Newkirk, Oklahoma, USA on Sat. April 9th, 2011. Bellator FC 40 was live in prime time on MTV2. MMA Fight Video of Tyler Stinson vs Nate James for the Bellator Fighting Championships (BFC 40) at First Council Casino in Newkirk, Oklahoma, USA on Sat. April 9th, 2011. Bellator FC 40 was live in prime time on MTV2. From San Diego, California (CA), USA, the official weigh-in from Strikeforce: Diaz vs. Daley MMA Event. Headliners Nick Diaz and Paul Daley, plus Gilbert Melendez, Tatsuya Kawajiri, Gegard Mousasi, Keith Jardine, Shinya Aoki, and Lyle Beerbohm. In a potential candidate for Fight of the Year in the main event, sizzling STRIKEFORCE Welterweight (170 pounds) World Champion Nick Diaz (24-7, 1 NC), of Stockton, Calif., will seek his 10th consecutive victory when he defends against the hard-hitting, notorious British striker, Paul “Semtex” Daley (26-9-2), of Nottingham, England.